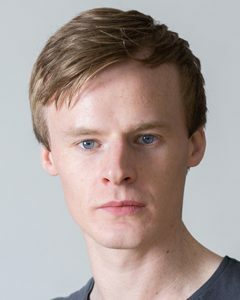 Manus Halligan is a graduate of the Trinity College Drama and Theatre department. His recent theatre work includes: Inside The GPO (Fishamble), The Poor Little Boy With No Arms (One Duck), She Stoops To Conquer and King Lear (Abbey Theatre), Before Monsters Were Made, Reckoners and The Life and Sort of Death of Eric Argyle (15th Oak Productions), Five Minutes Later (Sugarglass T. C.), Shell-Shock (Gonzo T. C.), The Nightmare Before Christmas (Livin’ Dred), Human Child and MONSTER/CLOCK (Collapsing Horse Theatre Company), Heroin(e) for Breakfast (PillowTalk), The Making of ‘Tis Pity She’s a Whore (Project Arts Centre). His screen work includes Rebellion (RTÉ) and the short films, My Life For Ireland (Suitable Films), Not With a Bang But a Whimper (dir. Andy Stevenson) and Run (dir. Sam McMullen) which screened in London’s Short Film Festival 2014 plus Naillser, Principal role in The Cocaine Famine. Manus is also a voice-over artist. Inside the GPO Sean MacDermott Jim Culleton G.P.O. Eric Argyle London, New York. Heroin(e) for Breakfast Tommy Rosemary McKenna Smock Alley Th. Medea CreonÕs Soldier Selina Cartmell Sam Beckett Th. The Lonesome West Coleman Donal Gallery Sam Beckett Th. Rebellion Nottinghamshire Soldier Aku Louhimies Generation Films/RTÉ.